October 12, 2018 6:20 pm. Victorian jockey Dean Holland will ride last-start winner Miss Admiration in the G1 Metropolitan. Dean Holland has lost one of his chances on Epsom Handicap day but is still confident about his prospects of a second career Group One win , more than eight years after his first. The lightweight jockey was booked to ride Radipole in Saturday’s Epsom at 50kg but the Mike Moroney-trained import has been scratched because of a wide draw. 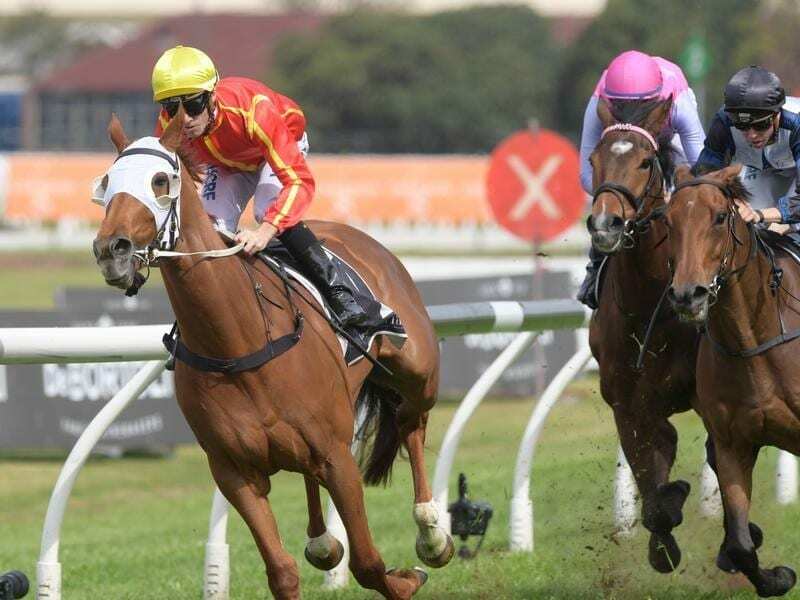 Holland still has the ride on the Mick Price-trained Miss Admiration who is second favourite for The Metropolitan (2400m) after a strong win over the same distance in a Group Three race last weekend at Rosehill. Miss Admiration also has 50kg and Holland jumped at the opportunity. “I got a call from Mick Price early on Sunday morning and he asked if I could ride the weight,” Holland said. “Luckily I was already going up and riding 50 but my weight is really good anyway. Holland said he was walking around at 50.5kg at the Flemington meeting on Wednesday and making the weight was no problem. “By the end of the week I’ll be there fit and healthy and I’m really excited,” he said. Holland, who rode in the 2014 Lightning Stakes at 46kg, said he had hardly had to diet for Saturday’s Metropolitan opportunity. “I’ve been eating healthy and riding every day and the weight is really good,” he said. “The 50 kilos is pretty easy for me really. Holland was impressed by Miss Admiration’s win last weekend when Jay Ford rode the mare. “It’s good to be on a last-start winner going into a Group One race,” he said. Holland’s last visit to ride at Randwick was in April when he was beaten by a nose in the Group One Sydney Cup on outsider Zacada, although he also copped a suspension and fine for breaching the whip rules in the staying feature. “I’m going back there eager to go one better,” he said. Holland won the 2010 Australasian Oaks on Small Minds, his lone Group One win. “I’ve had an Adelaide Cup winner, a Mornington Cup and a few other Group Three and Listed races,” he said.